A cancer diagnosis is devastating. And wading through the pros and cons of various treatment options can be exhausting. Since treatments like chemotherapy can have such horrible side effects, it’s important to use them only when they’re truly needed - and likely to be helpful. But it’s often hard to know where to draw the line. Fortunately, new research is improving the guidelines for breast cancer patients. When determining whether or not to recommend chemo, many doctors rely on a 21-gene test. This test involves getting the tumor biopsied and looking at how active 21 key genes are. The test is scored from 0 to 100. The higher the score, the worse the prognosis. For patients with a score over 25, chemo is pretty much a given. The risk of cancer recurrence and death is high, so the side effects of chemo are worth enduring. Patients scoring 10 or lower rarely need chemo. The problem was the scores in the middle. Doctors just weren’t sure if patients scoring 11 to 25 should receive chemo or not. Did the risks outweigh the benefits? Researchers at Loyola University wanted to find out. They enrolled 10,273 women with hormone-receptor positive, HER-2 negative breast cancer in their study. Sixty-nine percent of these women received intermediate scores on the 21-gene test. The researchers randomly divided these women into two groups. One group received chemotherapy plus hormonal therapy. The other group received only hormonal therapy. The researchers then followed the patients to see who became cancer-free and who experienced recurrence. They also measured overall survival. Overall, the outcomes were about the same for both groups. This was particularly true for women in the 50 to 75 age range. Women under the age of 50 fared slightly better if they received chemo only if their scores were 16 or higher. This is great news. It means that many more women diagnosed with breast cancer can skip chemo. They’ll get similar results with hormonal therapy alone. It’s possible even fewer cancer patients would need chemo if they used alternative treatments instead. 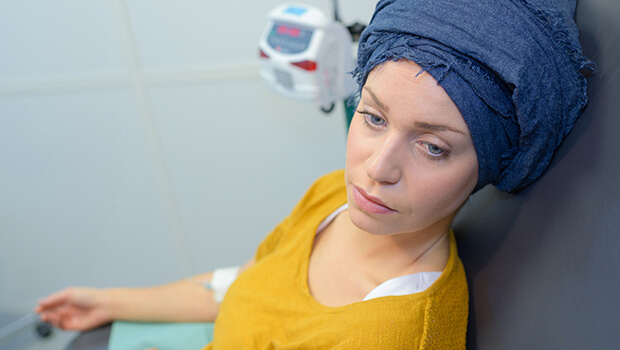 Unfortunately, this study didn’t look at whether these treatments would lower the number of women who need chemo even more. If you’ve received a breast cancer diagnosis, make sure your doctor knows about this study. You certainly don’t want to undergo chemo if it’s not necessary.